The nursing profession is continuously evolving and dynamic. 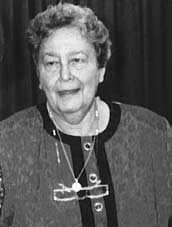 Ever since Florence Nightingale started writing her notes on nursing, more theories and models about the nursing profession flourished during the last decade; one of these is Myra Levine’s Conservational Theory which was completed on 1973. Myra Estrin Levine (1920-1996) was born in Chicago, Illinois. She was the oldest of three children. She had one sister and one brother. Levine developed an interest in nursing because her father (who had gastrointestinal problems) was frequently ill and required nursing care on many occasions. Levine graduated from the Cook County School of Nursing in 1944 and obtained her BS in nursing from the University of Chicago in 1949. Following graduation, Levine worked as a private duty nurse, as a civilian nurse for the US Army, as a surgical nursing supervisor, and in nursing administration. After earning an MS in nursing at Wayne State University in 1962, she taught nursing at many different institutions (George, 2002) such as the University of Illinois at Chicago and Tel Aviv University in Israel. She authored 77 published articles which included “An Introduction to Clinical Nursing” with multiple publication years on 1969, 1973 & 1989. She also received an honorary doctorate from Loyola University in 1992. She died on 1996. Levine told others that she did not set out to develop a “nursing theory” but had wanted to find a way to teach the major concepts in medical-surgical nursing and attempt to teach associate degree students a new approach for daily nursing activities. Levine also wished to move away from nursing education practices that were strongly procedurally oriented and refocus on active problem solving and individualized patient care (George, 2002). Levine’s Conservation Model is focused in promoting adaptation and maintaining wholeness using the principles of conservation. The model guides the nurse to focus on the influences and responses at the organismic level. The nurse accomplishes the goals of the model through the conservation of energy, structure, and personal and social integrity (Levine, 1967). 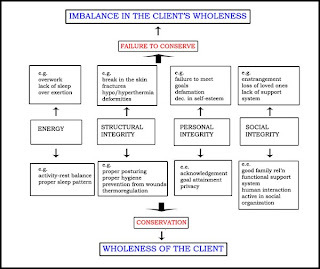 Although conservation is fundamental to the outcomes expected when the model is used, Levine also discussed two other important concepts critical to the use of her model – adaptation and wholeness. Adaptation is the process of change, and conservation is the outcome of adaptation. Adaptation is the process whereby the patient maintains integrity within the realities of the environment (Levine, 1966, 1989a). Adaptation is achieved through the “frugal, economic, contained, and controlled use of environmental resources by the individual in his or her best interest” (Levine, 1991, p. 5). Wholeness is based on Erikson’s (1964, p. 63) description of wholeness as an open system: “Wholeness emphasizes a sound, organic, progressive mutuality between diversified functions and parts within an entirety, the boundaries of which are open and fluid.” Levine (1973, p. 11) stated that “the unceasing interaction of the individual organism with its environment does represent an ‘open and fluid’ system, and a condition of health, wholeness, exists when the interaction or constant adaptations to the environment, permit ease—the assurance of integrity…in all the dimensions of life.” This continuous dynamic, open interaction between the internal and external environment provides the basis for holistic thought, the view of the individual as whole. Conservation, on the other hand, is the product of adaptation. Conservation is from the Latin word conservatio, meaning “to keep together” (Levine, 1973). “Conservation describes the way complex systems are able to continue to function even when severely challenged.” (Levine, 1990, p. 192). Through conservation, individuals are able to confront obstacles, adapt accordingly, and maintain their uniqueness. “The goal of conservation is health and the strength to confront disability” as “... the rules of conservation and integrity hold” in all situation in which nursing is requires” (Levine, 1973, pp. 193- 195). The primary focus of conservation is keeping together of the wholeness of the individual. 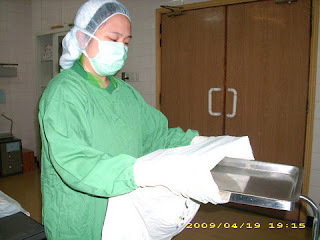 Although nursing interventions may deal with one particualr conservation principle, nurses must also recognize the influence of other conservation principles (Levine, 1990). 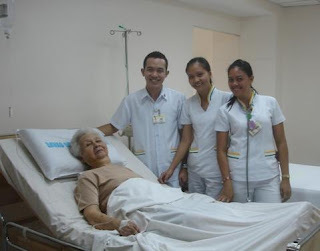 Over the years, nurses (like Myra Levine) have developed various theories that provide different explanations of the nursing discipline. Like her Conservation Model, all theories share four central or major concepts: person, environment, nursing and health. In addition to this, Levine’s Model also discussed that person and environment merge or become congruent over time, as it will be discussed below. I. The person is a holistic being who constantly strives to preserve wholeness and integrity and one “who is sentient, thinking, future-oriented, and past-aware.” The wholeness (integrity) of the individual demands that the “individual life has meaning only in the context of social life” (Levine, 1973, p. 17). The person is also described as a unique individual in unity and integrity, feeling, believing, thinking and whole system of system. II. The environment completes the wholeness of the individual. The individual has both an internal and external environment. The internal environment combines the physiological and pathophysiological aspects of the individual and is constantly challenged by the external environment. The internal environment also is the integration of bodily functions that resembles homeorrhesis rather than homeostasis and is subject to challenges of the external environment, which always are a form of energy. Homeostasis is a state of energy sparing that also provides the necessary baselines for a multitude of synchronized physiological and psychological factors, while homeorrhesis is a stabilized flow rather than a static state. The internal environment emphasizes the fluidity of change within a space-time continuum. It describe the pattern of adaptation, which permit the individual’s body to sustain its well being with the vast changes which encroach upon it from the environment. The external environment is divided into the perceptual, operational, and conceptual environments. The perceptual environment is that portion of the external environment which individuals respond to with their sense organs and includes light, sound, touch, temperature, chemical change that is smelled or tasted, and position sense and balance. The operational environment is that portion of the external environment which interacts with living tissue even though the individual does not possess sensory organs that can record the presence of these factors and includes all forms of radiation, microorganisms, and pollutants. In other words, these elements may physically affect individuals but are not perceived by the latter. The conceptual environment is that portion of the external environment that consists of language, ideas, symbols, and concepts and inventions and encompasses the exchange of language, the ability to think and experience emotion, value systems, religious beliefs, ethnic and cultural traditions, and individual psychological patterns that come from life experiences. III. Health and disease are patterns of adaptive change. Health is implied to mean unity and integrity and “is a wholeness and successful adaptation”. 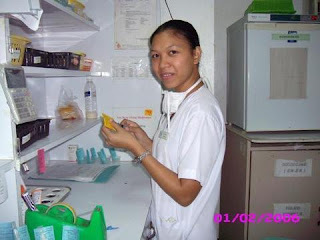 The goal of nursing is to promote health. Levine (1991, p. 4) clarified what she meant by health as: “… the avenue of return to the daily activities compromised by ill health. It is not only the insult or the injury that is repaired but the person himself or herself… It is not merely the healing of an afflicted part. It is rather a return to self hood, where the encroachment of the disability can be set aside entirely, and the individual is free to pursue once more his or her own interests without constraint.” On the other hand, disease is “unregulated and undisciplined change and must be stopped or death will ensue”. IV. Nursing involves engaging in “human interactions” (Levine, 1973, p.1). “The nurse enters into a partnership of human experience where sharing moments in time—some trivial, some dramatic—leaves its mark forever on each patient” (Levine, 1977, p. 845). 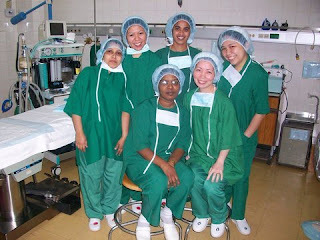 The goal of nursing is to promote adaptation and maintain wholeness (health). The goal of nursing is to promote wholeness, realizing that every individual requires a unique and separate cluster of activities. The individual’s integrity is his/her abiding concern and it is the nurse’s responsibility to assist the patient to defend and to seek its realization. The goal of nursing is accomplished through the use of the conservation principles: energy, structure, personal, and social integrity. V.	As it was mentioned above, Levine’s Conservation Model discussed that the way in which the person and the environment become congruent over time. It is the fit of the person with his or her predicament of time and space. The specific adaptive responses make conservation possible occur on many levels; molecular, physiologic, emotional, psychologic, and social. These responses are based on three factors (Levine, 1989): historicity, specificity and redundancy. 1. Historicity refers to the notion that adaptive responses are partially based on personal and genetic past history. Each individual is made up of a combination of personal and genetic history, and adaptive responses are the result of both. 2. Specificity refers the fact that each system that makes up a human being has unique stimulus-response pathways. Responses are stimulated by specific stressors and are task oriented. Responses that are stimulated in multiple pathways tend to be synchronized and occur in a cascade of complimentary (or detrimental in some cases) reactions. 3. Redundancy describes the notion that if one system or pathway, is unable to ensure adaptation, then another pathway may be able to take over and complete the job. This may be helpful when the response is corrective (e.g., the use of allergy shots over a lengthy period of time to diminish the effects of severe allergies by gradually desensitizing the immune system). However, redundancy may be detrimental, such as when previously failed responses are reestablished (e.g., when autoimmune conditions cause a person’s own immune system to attack previously healthy tissue in the body). A change in behavior of an individual during an attempt to adapt to the environment is called an organismic response. It helps individual to protect and maintain their integrity. There are four types, namely (1) Flight or fight: An instantaneous response to real or imagined threat, most primitive response; (2) Inflammatory: response intended to provide for structural integrity and the promotion of healing; (3) Stress: Response developed over time and influenced by each stressful experience encountered by person; and (4) Perceptual: Involves gathering information from the environment and converting it in to a meaning experience. The core, or central concept, of Levine’s theory is conservation (Levine, 1989). When a person is in a state of conservation, it means that individual adaptive responses conform change productively, and with the least expenditure of effort, while preserving optimal function and identity. Conservation is achieved through successful activation of adaptive pathways and behaviors that are appropriate for the wide range of responses required by functioning human beings. Myra Levine described the Four Conservation Principles. These principles focus on conserving an individual's wholeness. 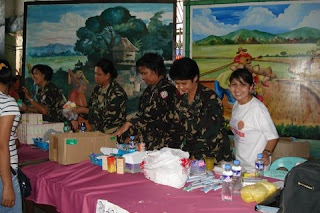 She advocated that nursing is a human interaction and proposed four conservation principles of nursing which are concerned with the unity and integrity of individuals. Her framework includes: energy, structural integrity, personal integrity, and social integrity. I. Conservation of energy: Refers to balancing energy input and output to avoid excessive fatigue. It includes adequate rest, nutrition and exercise. II. Conservation of structural integrity: Refers to maintaining or restoring the structure of body preventing physical breakdown and promoting healing. III. Conservation of personal integrity: Recognizes the individual as one who strives for recognition, respect, self awareness, selfhood and self determination. IV. Conservation of social integrity: An individual is recognized as some one who resides with in a family, a community, a religious group, an ethnic group, a political system and a nation. Example: Help the individual to preserve his or her place in a family, community, and society. Despite the comprehensiveness and wide application of Levine's theory, the model is not without limitation. For example, Levine's conservation model focuses on illness as opposed to health; thus, nursing interventions are limited to addressing only the presenting condition of an individual. Hence, nursing interventions under Levine's theory have a present and short-term focus and do not support health promotion and illness prevention principles, even though these are essential components of current nursing practice. Thus, the major limitation is the focus on individual in an illness state and on the dependency of patient. Furthermore, the nurse has the responsibility for determining the patient ability to participate in the care, and if the perception of nurse and patient about the patient ability to participate in care don’t match, this mismatch will be an area of conflict. There are a number of limitations when it comes to the four principles. On conservation of energy, Levine’s goal is to avoid fatigue or excessive use of energy. This is manageable in the bedside care of ill clients. In cases where energy needs to be utilized rather than conserved like in manic patients, ADHD in children or those with limited movements such as paralyzed clients, Levine’s theory does not apply. On conservation of structural integrity, the focus is to preserve the anatomical structure of the body as well as to prevent damage to the anatomical structure. This, again, has limitations. In cases where the anatomical structure is not so perfect but without identified disfigurement or problems as in plastic surgeries, procedures like breast enhancements and liposuctions; the person's structural integrity is compromised but it is the patient's choice seeking physical beauty and psychological satisfaction that is taken into consideration. Otherwise such, procedures should not be promoted. On conservation of personal integrity, the nurse is expected to provide knowledge and the patient need to be respected, provided with privacy, encouraged and psychologically s supported. The limitations here will center on clients who are psychologically impaired and incapacitated and cannot comprehend and absorb knowledge, i.e. comatose patients, suicidal individuals or clients. Lastly, conservation of social integrity’s aim is to preserve and recognition of human interaction, particularly with the clients, significant others who comprise his support system. The limitation specific for this, is when the client has no significant others like family members. Abandoned children, psychiatric patients who are unable to interact, unresponsive clients like unconscious individuals, the focus here is no longer the patient himself but the people involved in his/her health care. To summarize, Levine expressed the view that within the nurse-patient relationship a patient’s state of health is dependent on the nurse-supported process of adaptation. This guides nurses to focus on the influences and responses of a client to promote wholeness through the Conservation Principles. The goal of this model is to accomplish this through the conservation of energy, structural, personal and social integrity. The goal of nursing is to recognize, assist, promote, and support adaptive processes that benefit the patient. Current Nursing. (n.d.). 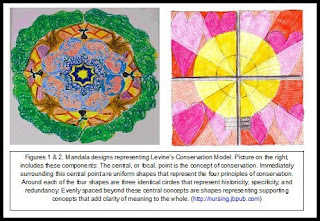 Nursing theories: Levine’s four conservation principles. Retrieved from http://currentnursing.com/nursing_theory/Levin_four_conservation_principles.htm on July 2009. 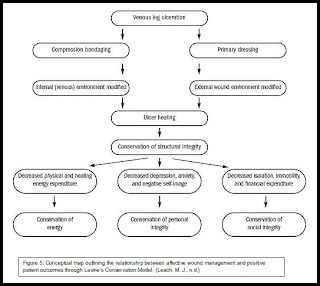 Leach, M.J. (n.d.) Wound management: Using Levine’s Conservation Model to guide practice. Vol. 52, Issue No. 8. Retrieved from: http://www.o-wm.com/article/6024 on July 2009. Sitzman, K. & Eichelberger, L.W. (2009). Understanding the work of nurse theorists: A creative beginning. 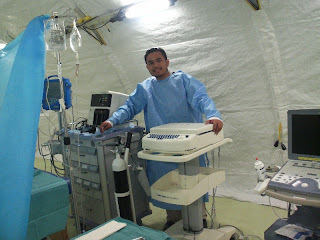 Retrieved from http://nursing.jbpub.com/sitzman/artGallery.cfm on July 2009. Jones and Bartlett Publishers. Yeager, S. (2002). 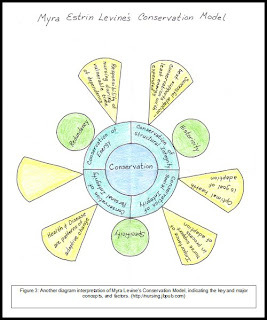 Overview of nurse theorist: Myra Levine’s conservation model. Retrieved from: http://www4.desales.edu/~sey0/levine.html on July 2009. Añonuevo, C. A., et al. (2005). Theoretical foundations of nursing. University of the Philippines Open University: Quezon City, Philippines. George, J. B. (2001). 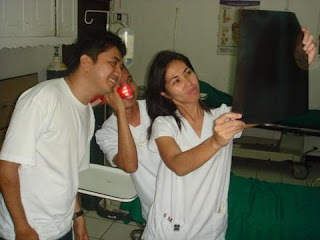 Nursing theories: Base for professional nursing. (5th ed). Pearson Education. Levine, M. E. (1973). 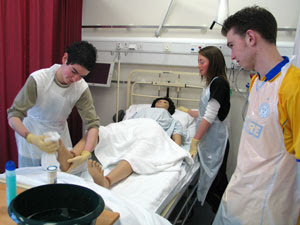 Introduction to clinical nursing. F. A. Davis Company: Philadelphia, PA.
Parker, M. E. (2001). Nursing theories and nursing practice. F. A. Davis Company: Philadelphia, PA.
Schaefer, K. M., Pond, J. B., et al. (1991). Levine’s conservation model: A framework of nursing practice. F.A. Davis Company: Philadelphia, PA.
Tomey, A. M. & Alligood, M. R. (2006). Nursing theorists and their work. (6th ed.). 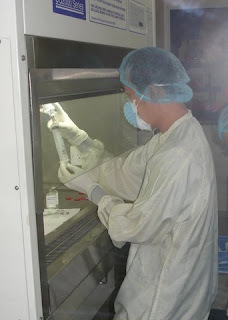 Elsevier Health Sciences. Click here for a short quiz. Enjoy! Thanks. This is one of the most user friendly and applicable descriptions of the Conservation Model I have seen. It helped me a lot for my presentation. What brandon said...hehe Thank you very much!!! That’s good explanation, thanks for the lesson very much. Thank you very much for your information and explanation! Have you thought about posting the information about Myra Levine to Wikipedia? Oxbridge Masters help students by offering academic writing help. Our services are plagiarism free, customized and timely delivered. We write papers as per instructions. We ensure safe and easy process as we have multiple payment methods and we never share information with others. It is great to hear people pursuing their dream and becoming successful.